Plato repeatedly stated that justice is the central virtue. Would you agree and if so, does this mean that forgiveness is less important than the seeking of justice? While Plato did state that justice is the central virtue, it was Aristotle who reminded us that we never should practice any one virtue in isolation of the others. Thus, justice and forgiveness are of great importance because they balance each other. In other words, justice by itself can be cold and even uncaring. Forgiveness by itself could make us vulnerable to the cruelty of others as we fail to know how to seek a fair solution. I would rather not choose, then, between the two. Let them grow up together for the good of individuals and communities. I hear colleagues tell me that it is child abuse to impose the education of forgiveness on unsuspecting students. How would you answer such a charge? Good philosophy is the pursuit of wisdom. Good education is the same. Part of being wise is to know how to control one’s anger, to reduce resentment, and to forge healthy relationships in the home and in the community. Forgiveness, seen in scientific studies, is one effective way of reducing resentment and fostering better behavior and relationships. If we then deprive a child of this part of wisdom, are we somehow aiding that child’s development or stifling it? Teaching about forgiveness is far from child abuse. Deliberately withholding knowledge of forgiveness is educational deprivation, which should happen to no child. Starting a forgiveness education program either in your classroom or throughout your school is relatively simple since we provide all the materials. We have Curriculum Guides available for grades Pre-K through 12th Grade. The curriculum guides are comprehensive (most over 100 pages) making them easy for classroom teachers to use. The guides are available in two formats–the standard version for public schools and the Christian version that includes supplemental information tying the lessons into Christian principles and values. Here is a preview of an actual curriculum guide for you to review–the introduction and first three lessons of the 1st Grade Curriculum Guide (Standard Version) and the 1st Grade Curriculum Guide (Christian Version). In the Grade One Curriculum Guide, for example, Dr. Seuss’ book “Horton Hears a Who” is the centerpiece of all of the materials. Horton was chosen because of his oft repeated wisdom: “A person is a person no matter how small.” This idea captures well the concept of inherent worth. For each grade level the curriculum gets progressively more challenging so that by the twelfth grade the students are encouraged, if they so choose, to bring the principles of forgiveness to their community outside of school. See Curriculum Guides Basic Description for details. Each grade level has a number of children’s books and related materials suggested for use with the teacher guide. You may obtain the books yourself, or we have available, and will provide to you at no cost, two-page to six-page book summaries with each guide you purchase. Finally, we highly recommend a two-hour teacher training program we have developed for all instructors who will be providing forgiveness education. We can provide that training on site, through Skype, or through audio CD. Teachers can listen to the CD as a group (preferred method) or can access it whenever they wish. Contact us for details if you prefer an on-site or Skype training session: director@internationalforgiveness.com. You can order complete sets of the curriculum guides (book summaries included) as well as the Instructional CD in our website Store. Deciding to teach forgiveness education to your students is a low-cost but smart investment that pays off as the students practice forgiveness skills throughout their lifetime. If I wanted to start teaching forgiveness in my first-grade classroom, what kind of resources do you have for this? First, thank you for considering giving your first graders access to the amazing benefits of forgiveness education. To demonstrate to you that teaching forgiveness education is beneficial for both your students and you, please read the 3-page Why Forgiveness Education? on our website. For each grade level the curriculum gets progressively more challenging so that by the twelfth grade the students are encouraged, if they so choose, to bring the principles of forgiveness to their community outside of school. See Curriculum Guides Basic Description 5-2014 for details. Finally, we highly recommend a two-hour teacher training program we have developed for all instructors who will be providing forgiveness education. We can provide that training on site, through Skype, or through audio CD. Teachers can listen to the CD as a group (preferred method) or can access it whenever they wish. Contact us for details at director@internationalforgiveness.com. You can order complete sets of the curriculum guides (book summaries included) as well as the Instructional CD in our website Store. Deciding to teach forgiveness education to your first graders would be a smart investment. Today I am in the Middle East, in an open-air restaurant, reflecting on the human condition. The personal water crafts are dancing on the Mediterranean Sea, which looks today like it is a liquid diamond in the sun. Boys are showing their bravado by jumping off of a 50 foot wall into this liquid jewel, a playground for those with imagination and a willingness to take some risks. All of those at play seem oblivious to the fact that they are in a playground about 20 miles from another country which has sworn retribution. Now to a nursery where innocent babies are sleeping peacefully as if they are safe. They are in an upper room in a school, in a daycare center. Beneath them are the older children whose classrooms quite literally are bomb shelters with thick metal casings for the windows and heavy concrete to keep the mayhem at bay. The contrast between the playfulness and peace existing alongside the threats and the bomb shelters is jarring. How can human beings be willing to blow apart those on the water crafts or to tear the limbs off of the sleeping innocents, all in the name of something that is far less important that those at play and rest? How have human priorities gotten so twisted that the latest “ism” takes precedence over persons? Can we train the minds and hearts of the young to see that limbs are fragile, that the human soul can be wounded in such a way that those who are wounded now go on missions to destroy….even on days in which the Mediterranean Sea dances with delight and babies sleep though an illusion of peace? We need forgiveness education…..now. Local10.com, Miami, FL – Jordyn Howe, 16, pleaded guilty in court last week to the 2012 shooting death of his friend, Lourdes “Jina” Guzman-DeJesus, 13. 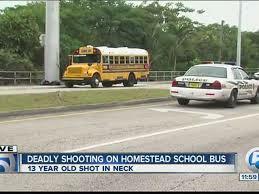 Howe brought his stepfather’s gun onto a school bus, and tried to fire it at the ground. When nothing happened he pointed it at “Jina” and pulled the trigger. This time the gun fired, killing her. The teen originally faced up to 22 months in prison before Ady DeJesus, the girl’s mother, met with the teen and the judge. During that meeting DeJesus presented a different plea to the court. Instead of prison, she asked that the court place Howe in a juvenile detention facility for a year. But that’s not all. She also wants him to join her as she travels around Florida, speaking to others about the dangers of guns. If he doesn’t follow through, he goes back to court, and likely prison. After the judge approved the new agreement, DeJesus gave Howe an extended hug in front of the courtroom. She says that the ruling has helped bring her peace. His eyes are still haunting me. A young man, back to a lamppost, cup in outstretched hand. Desperate eyes. “Please help me” he says without using words. People pass by as if he were invisible. I can tell that he knows others think he is invisible. The loneliness must be crushing. The desperation seems even worse. I have to wonder what trauma in his life contributed to his being on this Belfast, Northern Ireland street at such a young and vulnerable age. Who convinced him that he is less than a person? He seems to believe that, but I am not sure. I do know with certainty that he is now feeling desperate and his life line is his cup and the passers-by who could extend a hand to his outstretched hand. And yet, he is invisible. Had those who were with him in childhood actually seen him and responded to him as a true, worthwhile person, would he be here now….like this….with a cup…..and eyes that cry out, “Help me!”? All of us need to start training our eyes and hearts to see the desperate eyes and wounded hearts of those who are invisible.